IT marketing is more successful if it is silhouetted in some level of strategy beforehand. You want to develop a sales process. A sales process helps your salespeople know how to proceed and where to begin. Sure, a person might just wake up one day and decide they’re going to sell something, but that’s a pretty basic way to approach sales. Someone with such a strategy is likely to give up before they’ve reached their potential through energies wasted on the wrong people. IT marketing needs an established means of generating leads which is cost-effective and ROI-rich. That is to say: you get a requisite return on investment for efforts geared at getting appropriately salable potential clients. Lead generation should be aimed at the most likely individuals. If your MSP is selling cloud computing applications geared at software design, you’re probably not going to have a lot of success trying to sell your services to a guy who runs three or four taco trucks. But he may need Point of Sale (PoS) equipment and a means of organizing and troubleshooting that equipment, so if you have those capabilities, put him in the PoS pile. Which segues to the closing note on lead generation: you want to separate qualified leads into categories of likely service, so you can send them to the salesman most likely to close on them. Now, get in touch with your potential clients. Salespeople may pursue several avenues of approach. Email, phone, and face-to-face meetings are sensible and should be followed in sequence. You may start by emailing a prospect, then having a chat, which leads to a face-to-face conversation about relevant products or services. Whatever you do, you have to be careful not to annoy potential clients. At the same time, when you have a proverbial fish on the line you, shouldn’t contact them less than five times as a general rule unless some explicit situation makes it apparent that pursuing the prospect further isn’t profitable. After five, move on; but try to get at least five contacts of some variety in there; statistically, this is effective. Now it’s time to show them why your MSP is a force to be reckoned with. You want to give an in-depth presentation that’s illustrative rather than boring. This presentation must to be skillful, engaging, and more than anything it must demonstrate the value of your products and services. All the above steps, when properly followed, will likely lead to a successful close and a long-term client, but you’re not done yet. 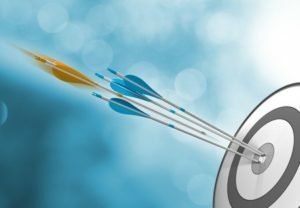 In order to know your goals, you need to put a number on the effectiveness of your sales techniques. You’ll need some time to do this, then you can establish goals and refine your selling process. The statistics can show you both strengths and weaknesses. Keep numbers on how many times prospects are contacted, the length of the sales process from prospect awareness to close, the level of profit against the cost of client acquisition, and any other relevant numbers. Using this data, construct a sales tracker to increase your team’s goals. Use incentives where appropriate to help facilitate proper drive. IT marketing based on an established sales process with realistic, achievable goals informed by data is most likely to be more effective. Selling is core to your MSP, so make certain it is done right.